2.Materials: Import PC(Oil Resistance), can choose materials by yourself. 3.Extension Tube Length: 10cm, 15cm, 20cm, 25cm...300cm is available. 4.Quality Standards: According to ISO13485 to execute. 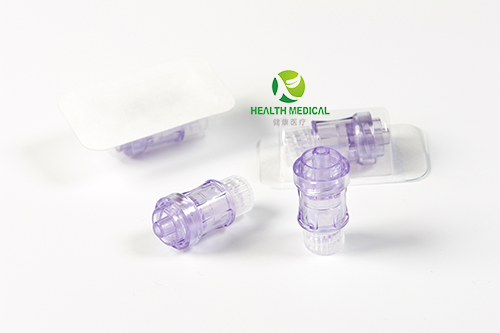 1.Be used with IV catheter. It is able to be punctured for 60 times. 2.Positive pressure can prevent blood back flow, catheter block and aeroembolism. This will be helpful for blood clot at the catheter tip inside the blood vessel. 3.Two sealing rings at the upper and lower end of the stalk keep the connector out of air, fluid and outsides. 4. The remain capacity is less than 0.06ml. Packaging Details: Blister per pcs, 50pcs/box, 50boxes/carton (2500pcs).